Emily received her bachelor’s and master’s degrees at the Manhattan School of Music and continued on to post-graduate studies at Boston University and the New England Conservatory of Music. 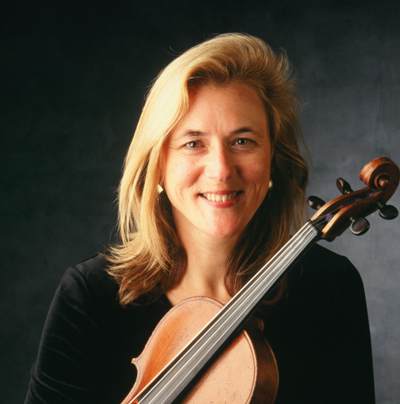 As principal violist, she toured with the New York City National Opera Company. She also toured Europe as principal violist with the Lyon National Opera. Emily has performed with the New York Philharmonic, the San Francisco Symphony, Opera and Ballet Orchestras. An avid activist in children’s music education, Emily tours with her group, The Rhythm Sisters. She also works with young people through the San Francisco Symphony’s Instrument Training and Adventures in Music programs. She is also a staff member of the San Francisco Conservatory of Music Preparatory Department. Emily was a founding member of Grammy-nominated Quartet San Francisco. She is an active studio musician, a member of the Skywalker Symphony, and recording for many other projects.